That is a slam dunk for Dennis, as he's not known for humor. I'm proud of him. So are you coming to the roundup Dennis? I`ve gotten lost in the adlib, When is it??? 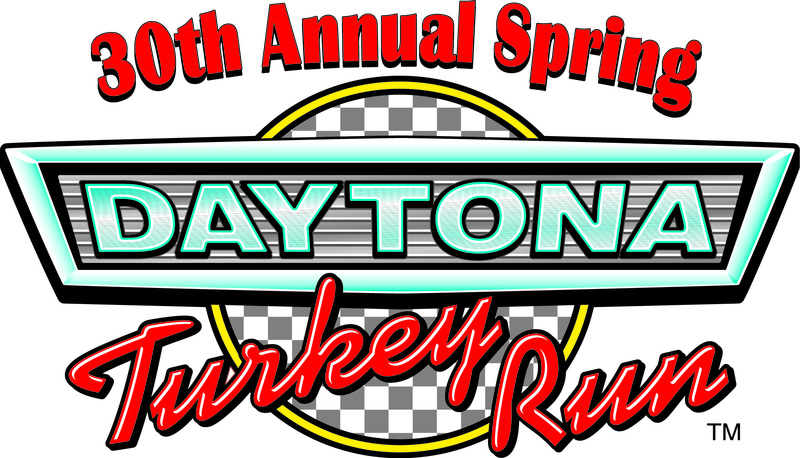 Join us for the 30th Spring Daytona Turkey Run at Daytona International Speedway. Thousands of classic cars for show and sale, a massive swap meet, arts and crafts on Artisan Alley, Little Gobbler's kids zone, food, beer, entertainment and so much more! Featuring Dock Dogs, world premiere canine aquatics competition on Saturday and Sunday. I am told the ABATE event will run without you Dennis, however if you came to the roundup you would be 25% of the attendees. That is huge! I'm looking pretty good for making it. Engine and trans still out, but the wiring is getting close. Waiting for dynamat, wire tape, and some waterproof connectors to complete the rewire, at which point I can reinstall the interior and engine/trans. Barring any huge problems I should have a week or two to spare. No time for lollygagging and malingering for me! Learned today that the front marker lights on the 67 are all one piece. The wire pigtail and housing are a single assembly. Pretty stupid. I am going to see if I can remove the light socket somehow from the housing, otherwise I have to reuse the 50 year old marker lights and wiring. Seems silly after rewiring the whole car. Ugh! FRIDAY 630 AM leaving for Daytona I will fly the Ranchero. US banner --- see ya !!! Not my predicted week or two to spare, but I got it running and driving yesterday after almost 5 months of work. One leak at the intake manifold and heater core hose fitting to address this morning then its off to Daytona. The weather is supposed to be perfect! HuevosRanchero, LSChero and 1965 Ranchero 66G like this. We had a great time. Linda and I are beat from walking around. Andy, tell Lou I never found a grommet and ask him to send me the part number for the one he was telling me about for my firewall wires. Thanks!